Showerboard is a new form of hoverboard, but the promo video actually just make it look like people are lazy to walk, even if they're just going to a meeting. The Italian startup, Trotta, has come up with a new mode of transport known as a 'showerboard', a kind of hoverboard set for your feet. 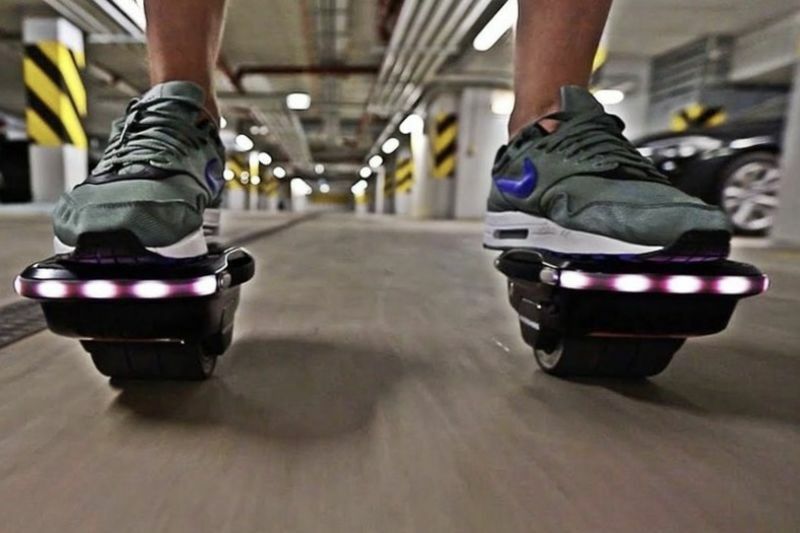 It is equipped with 54wh batteries, each hover-shoe is an ultra-agile board, capable of offering a range of up to 8km. Simply step on and go – 250-watt motors are fitted to each device letting them reach a top speed of up to 14 km/h. Thanks to the integrated automatic balancing function, the two individual skates remain standing after being switched on, and when getting on and off of them. Each hover-shoe is ultra-agile with an external diameter of 3.5 inches and a weight of only 3.1kg. The independence of both skates makes it much more flexible than a normal hoverboard. Showerboard hover-shoes are fully waterproof and to recharge the shoes takes about two hours. Due to the low weight, they can be easily transported whilst the LED bulbs positioned on the rubber bumpers ensure full visibility in the dark. The Showerboard hover-shoes has launched on Kickstarter where early bird pledges can be made from €300 or roughly £263. If all goes well, worldwide deliveries are expected to take place before the end of 2018.